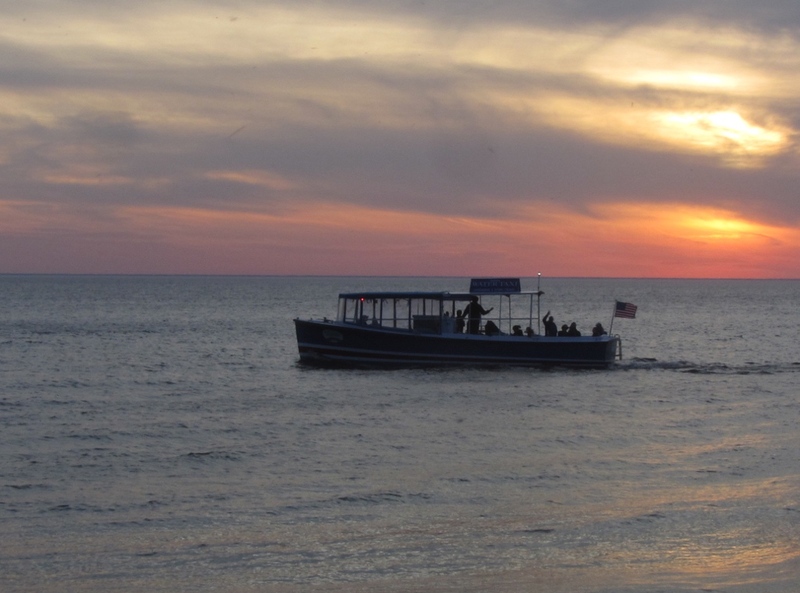 All our boats are available for private charters for your family, friends, group or company. You can choose one of our standard routes or we can work with you to create your own tour. 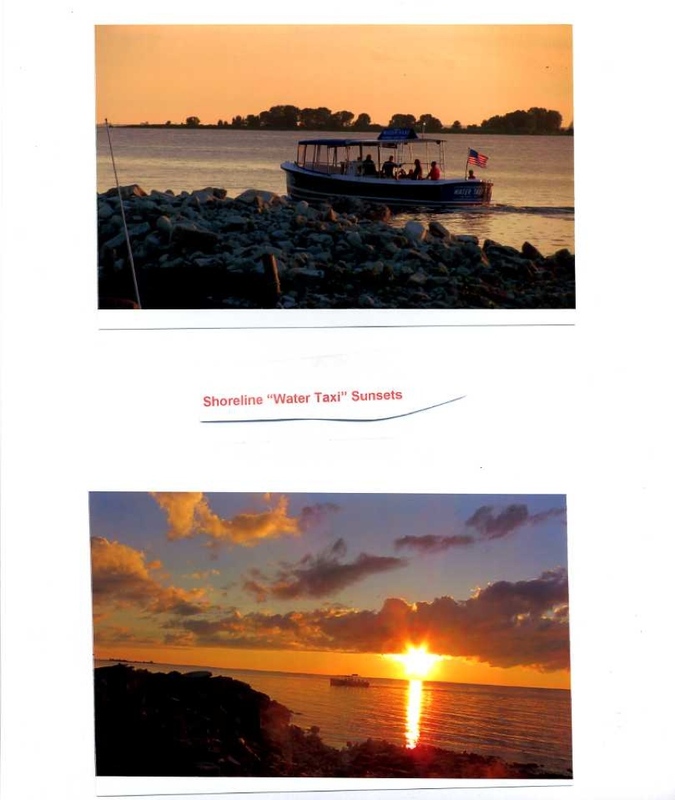 Our home ports are Baileys Harbor, Gills Rock or Washington Island however we can pick you up or drop you off at other ports. 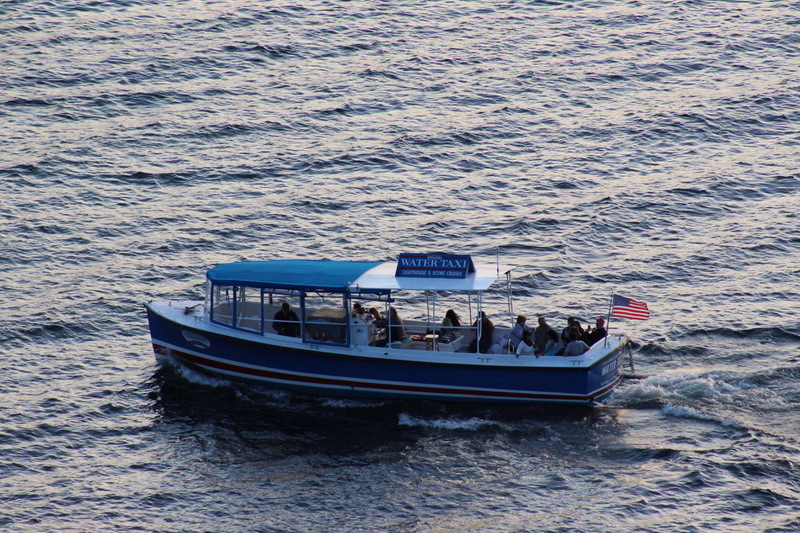 Our Baileys Harbor boat, the “Water Taxi”, can accommodate up to 30 passengers and our Gills Rock boat, “The Shoreline” can accommodate up to 16 passengers. 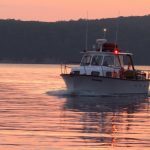 For information on rates and what each boat offers scroll down to Gills Rock or Baileys Harbor and check out the details below. Whether you have a large group or small group we can accomodate you. 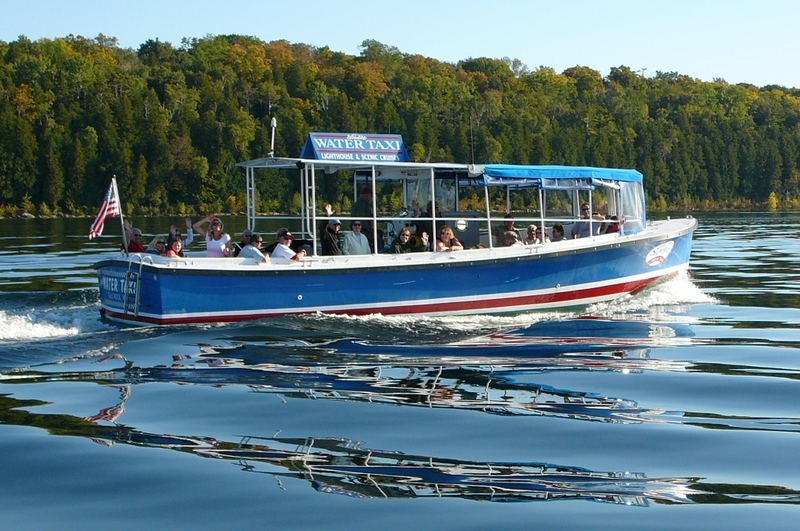 Our larger boat, the Water Taxi, can accomodate up to 32 passengers and has a large table for snacks and beverages. This former Navy Launch (Liberty Boat) has large windows and open areas to see the sights and a choice of covered or open seating. Boat set up with table and “U” shaped seating for private charter. 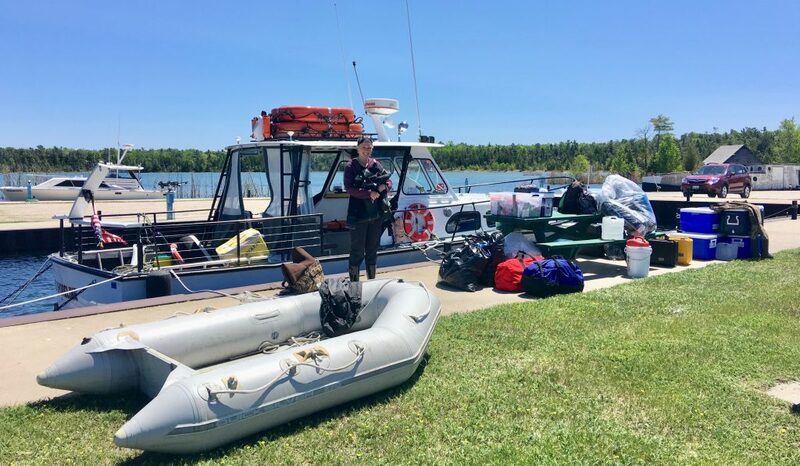 A company hired by the Coast Guard to do work on a remote island chartered us for 5 days to transport them and all their equipment pictured here including inflatable boat and we towed an 18′ boat to shuttle them to this island. 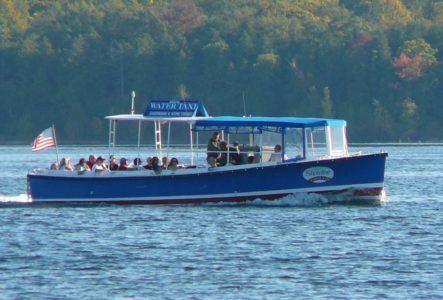 We offer private charters from either our dock in Gills Rock or Washington Island. We can also pick you up in other towns for an additional charge. 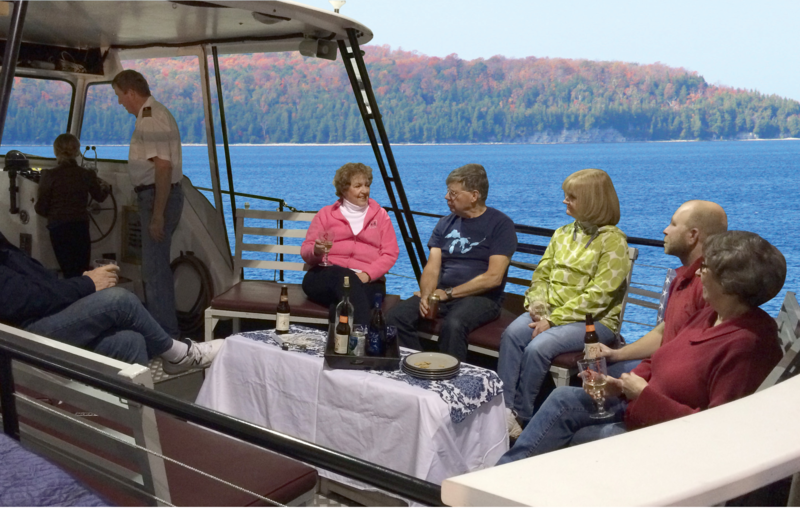 The boat has a large aft deck with cushioned benches and a forward cabin. We have a table we can set up on the deck for snacks and beverages.  You are welcome to bring whatever you want or we can connect you with area restaurants or caterers. 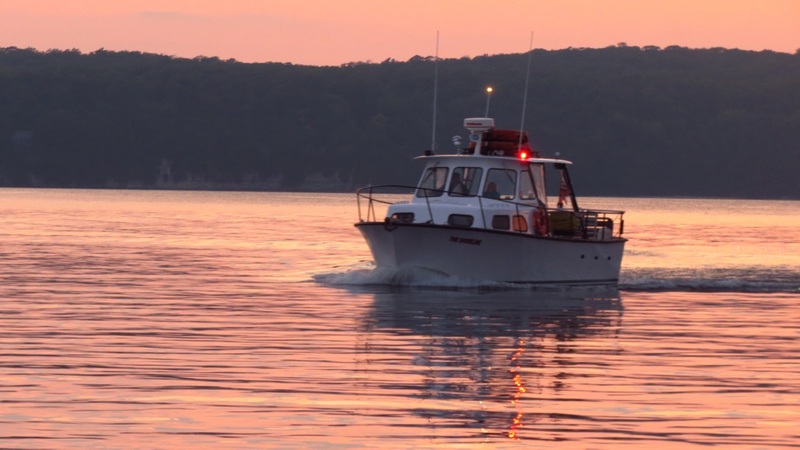 dive operations and has a Humminbird side scan sonar for shipwreck research charters. 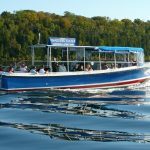 With our large deck we can accommodate contractors or companies that need equipment and personal transported to remote locations on the Great Lakes. 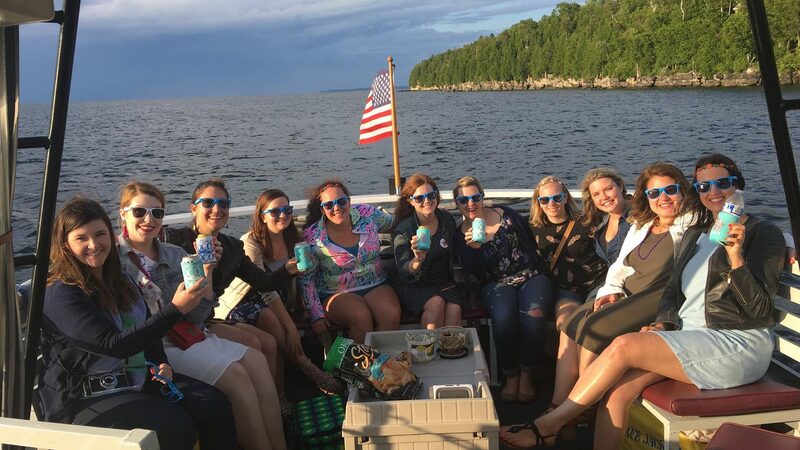 From transporting bicycle groups to Upper Michigan, freighter watching or even bachelorette parties our boat works great for private charters. 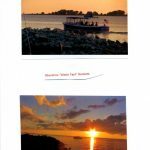 Additional Charters AKA "Ports O' Call"
Check out the different ports in Door County, Lake Michigan and Lake Huron we have been too. If you have the time, we have the boat. 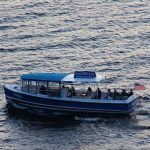 On distant trips, all day cruises or overnight charters we can quote you a package price for a private charter like this. This once bustling industrial community manufactured charcoal pig iron between 1867 and 1891. The town had a foundry with blast furnaces, hotel, school house, shops, and numerous residences. 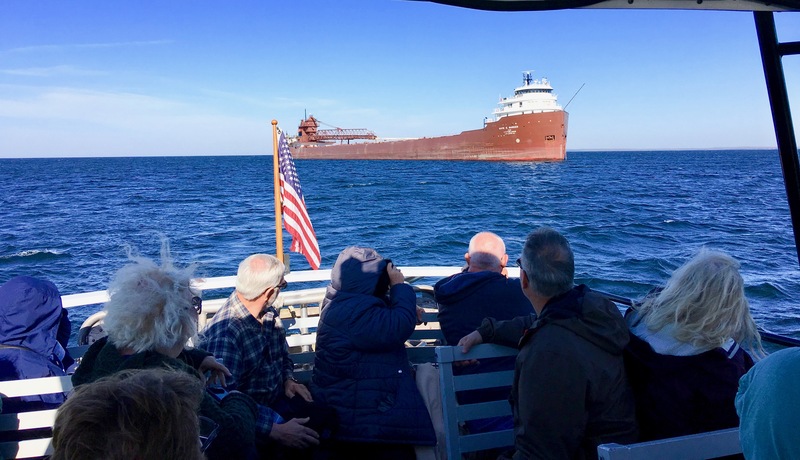 Sailing schooners were in and out of this beautiful harbor transporting goods and passengers and departing with their holds full of pig iron for ports all over Lake Michigan. Now all that remains is a ghost town with many of the buildings restored so you can step back in time as you take a walking tour through this historic village. 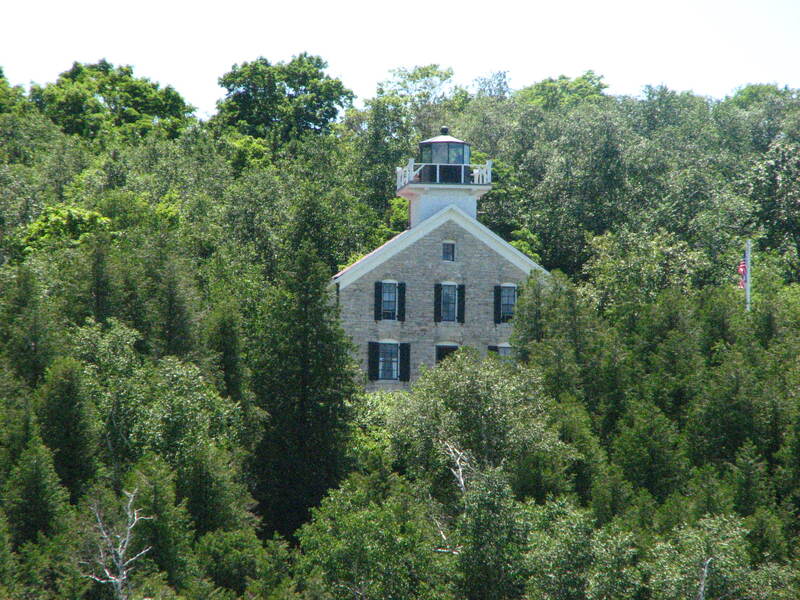 For more information on Fayette Historic State Park go to Michigan DNR/Fayette Historic State Park . 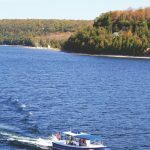 Cruise time or 6 to 8 hours including two hours or more touring Fayette. 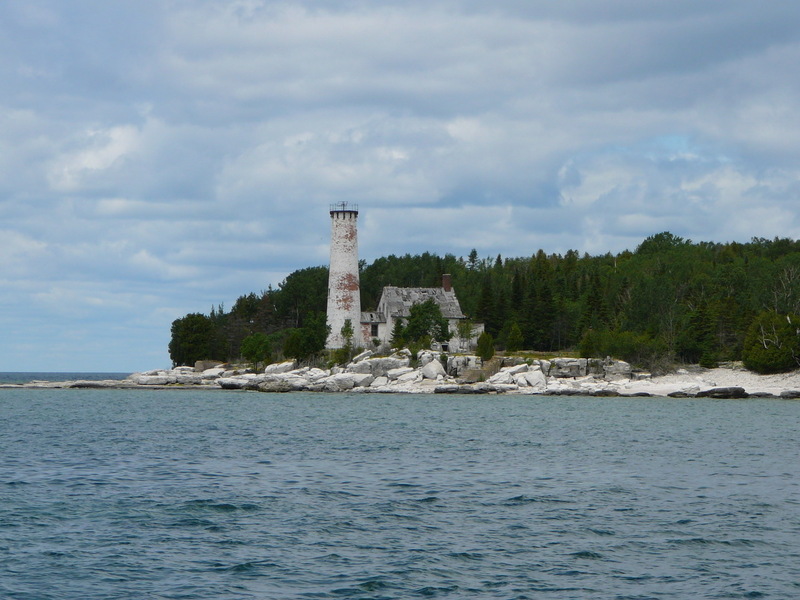 Minneapolis Shoal Lighthouse on the way to Escanaba. 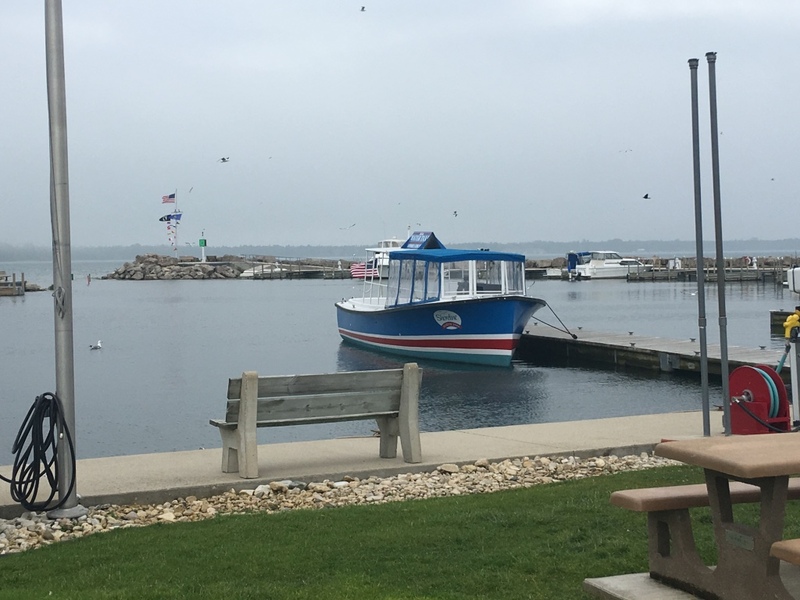 Escanaba Marina, park and beach. 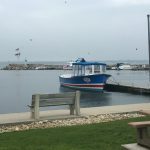 Bring an overnight bag and enjoy a 2 to 3 hour ride up the middle of Green Bay to Escanaba and its beautiful waterfront parks. 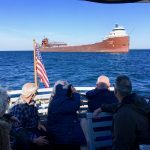 There are numerous hotels available including the historic Hotel Ludington and restaurant, which is in the National Register of Historic Places and within walking distance. If you want some late night action the Island Resort and Casino will pick you up right at the dock in their van and take you to their hotel and casino for the night and bring you back the next morning. If you prefer to stay in town there are numerous restaurants, shops, and bars within walking distance. 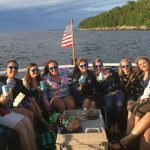 We are very familiar with the lodging and dining facilities in Escanaba and can assist you in determining what is best for you or your group. 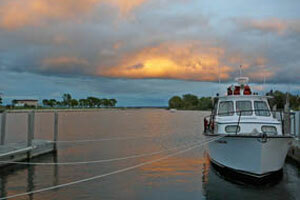 This trip leaves from Gills Rock mid-afternoon and departs from Escanaba the next morning at 10 AM (EST) (9 AM CST). Call for details on dates and pricing. This cruise offers breathtaking waterways, towering limestone cliffs, and remote Islands. Included is Rock Island, Wisconsin’s northernmost Island in Lake Michigan, home to the Pottawatomie Lighthouse the oldest Lighthouse on Lake Michigan. 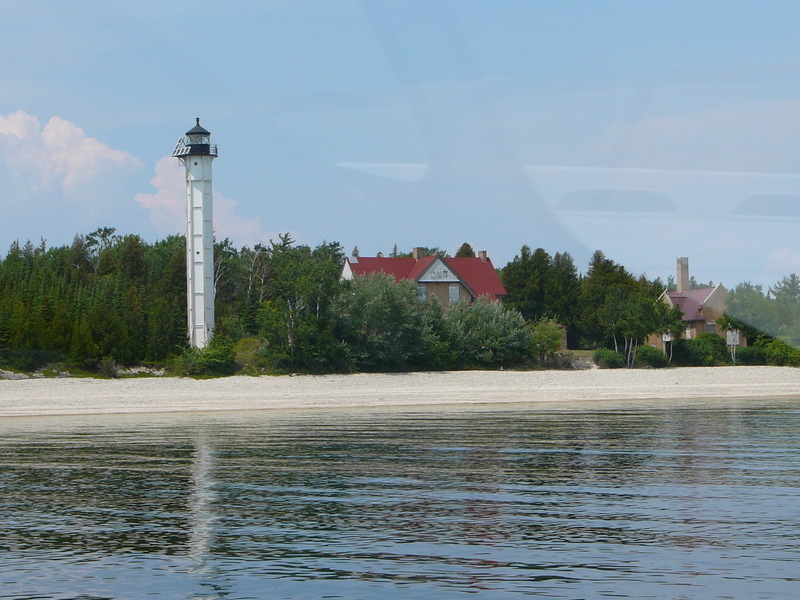 We will also see remote St. Martin and Poverty Islands and their Lighthouses in Upper Michigan. 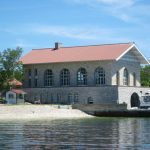 You will learn about the legend of the Poverty Island gold and pass by the sites of numerous shipwrecks that we will discuss. 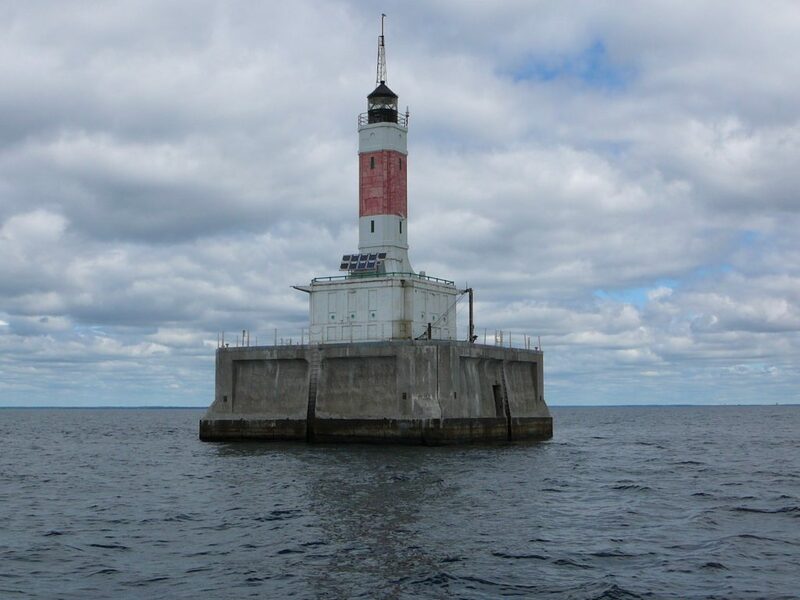 An optional trip out to Minneapolis Shoal Lighthouse can be arranged. Cruise time 6 to 8 hours. 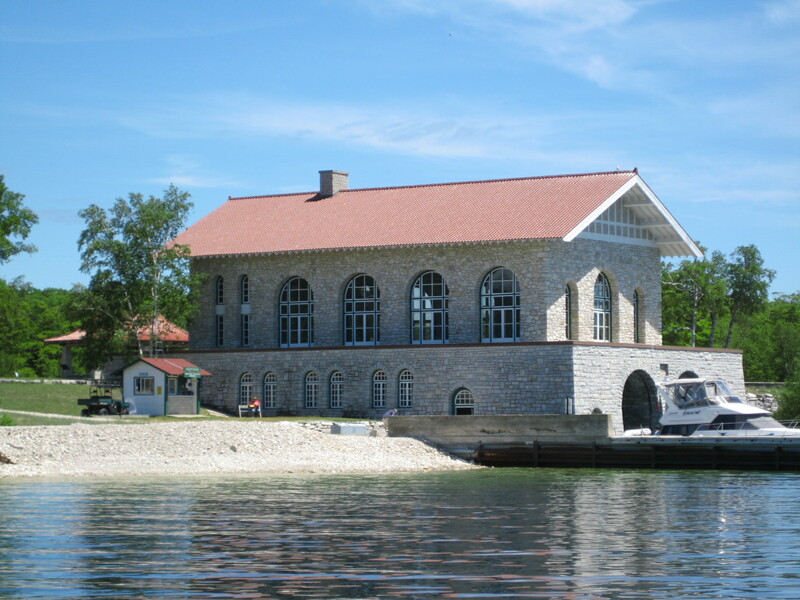 Saint Martin Island Lighthouse and Station. The above are samples of some private charters available. We can custom design a trip for you and/or your group. See what's already been requested! 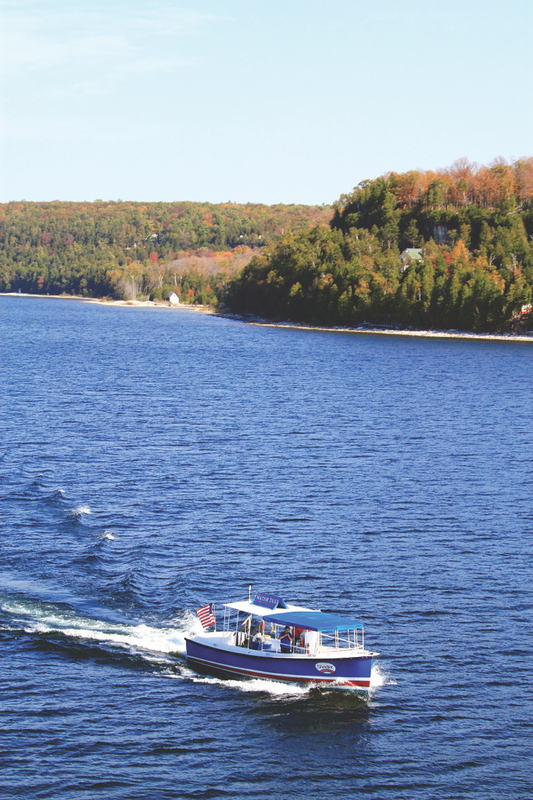 All cruises are subject to weather especially the all day cruises to Upper Michigan. 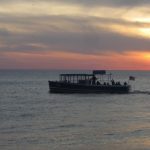 We will only run those cruises during periods of good weather. 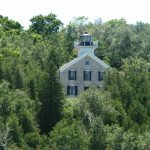 We have several routes to suggest including a cruise up the rugged West Side of Washington Island seeing the towering cliffs at Dennys Bluff and Boyers Bluff, site of the highest Light on Lake Michigan. 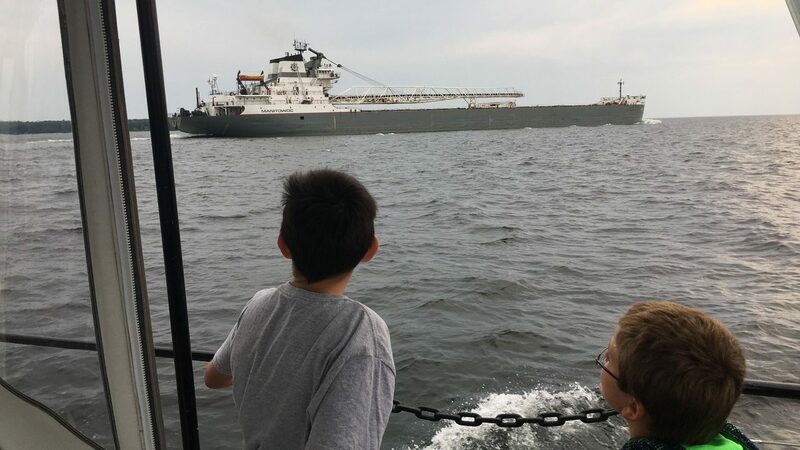 Continuing into Washington Harbor you will see the site of the historic shipwreck Louisiana which sank in the great storm of 1913 and beautiful Schoolhouse Beach with views of Saint Martin island, Michigan and Rock island. 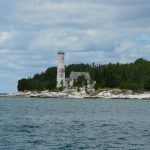 Other private charters can continue on to the Saint Martin and Poverty island Lighthouses in Upper Michigan.